Help and information for those affected by the recent fires, along with details for those who would like to help through donation of their time, funds or fodder. A Euroa fodder depot has been announced for fire affected farmers in the Creightons Creek, Longwood, Gooram and Ruffy fire areas. Public fodder donations are sought, with some donations already underway. However, more will be needed – Preferably cereal or pasture hay in rounds and large square bales. The site has loading and unloading facilities and notice will be needed prior to arrival. 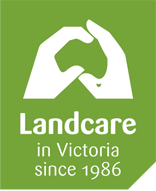 Gecko CLaN Landcare Network, DEPI and Goulburn Broken Catchment Management Authority are also partnering to deliver fire recovery services. A Thoona fodder depot has been announced for fire affected farmers in the Lake Rowan, St James, Boweya and Stewarton fire areas.